The recently released cinematic trailer for Phantom Doctrine did a good job of establishing the tone and priming us for the narrative. But now, we can finally see the game in action with a new gameplay trailer. This indie will have players undergoing Cold War espionage via turn-based tactical strategy. As the leader of a covert organization battling a global conspiracy at the height of the Cold War, you’ll have to master operating in the shadows against overwhelming odds. Train your agents, investigate new cases, and research cutting-edge tech from your base, then infiltrate enemy facilities, eliminate their assets with stealth or brute force, and uncover their schemes. Just in time for the game’s August 14, 2018 release, this Phantom Doctrine footage gives us an in-depth look at the gameplay. Successfully completing missions means picking the right agents for the right job. This involves selecting characters the enemy is unfamiliar with and equipping those characters with the right tools. 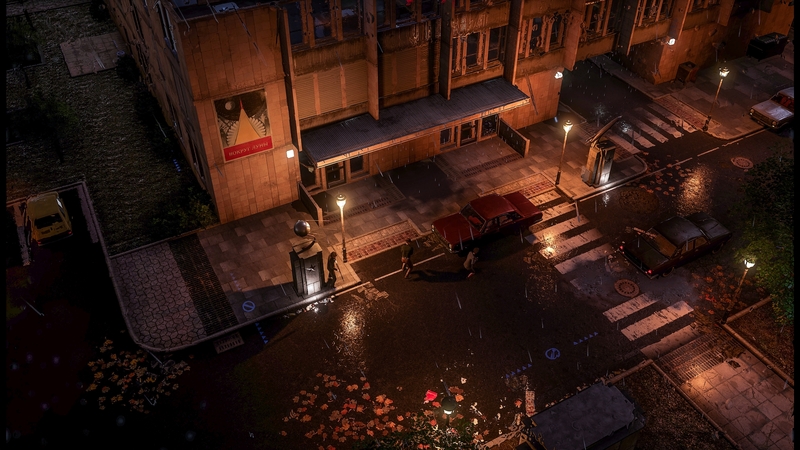 That logic is fairly common for a game of this genre but the details players have to consider, such as selecting a character who speaks the home country’s language, add a layer of realism to Phantom Doctrine. The trailer reminds us that we’ll be required to piece together intel from across missions. It’s still unclear exactly what that means in practice, but I like the idea of every mission having added weight to it. Phantom Doctrine’s single-player campaign allows you to experience the story as a KGB counterintelligence operative or a renegade CIA commando. The campaign is approximately 40 hours. Upon completion, players unlock New Game Plus runs of the campaign with added story content. Additionally, you can hop online for one-on-one matches with players across the world. So in terms of content, there’s plenty of bang for your buck. Developed by CreativeForge Games and published by Good Shepherd Entertainment, Phantom Doctrine will $39.99, but players can take advantage of a 10% discount (across all platforms) when the game releases on August 14th, 2018 for the PS4, Xbox One, and Windows PC. What do you think of its latest trailer? Get the message across to us in the comments below.